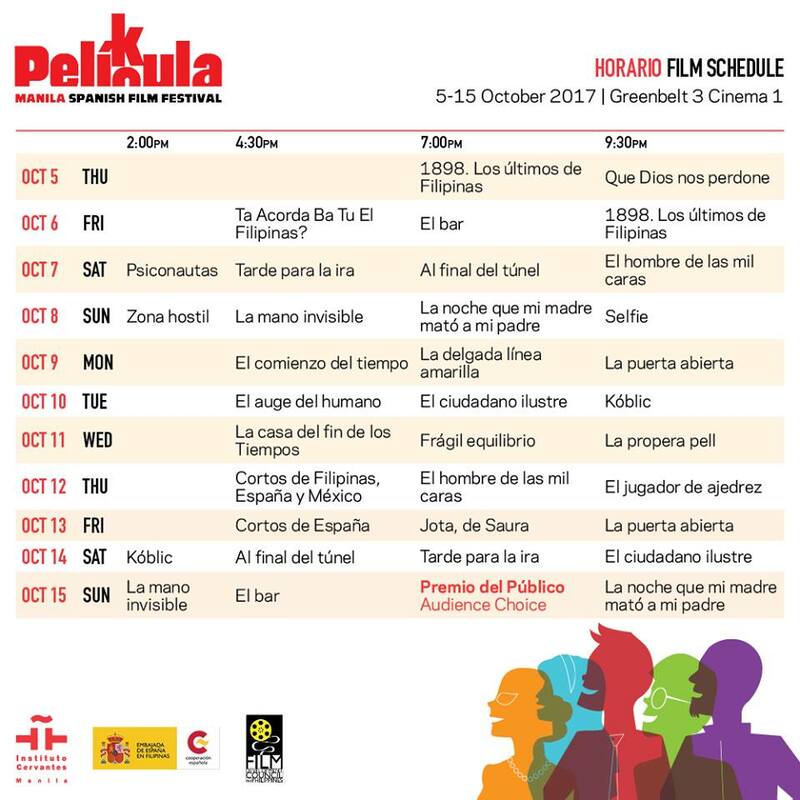 PELíCULA, the biggest Spanish film festival in Asia, kicks off on October 5 (Thursday) at Greenbelt 3 Cinema in Makati City, Philippines. 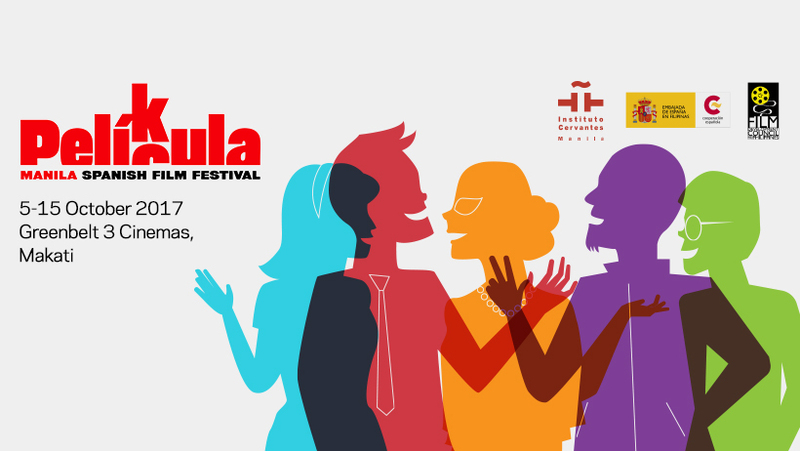 On its 16th year, there are over twenty (20) featured films selected from the best recent films coming from Spain and Latin America. The festival runs till October 15 (Sunday). 1898. 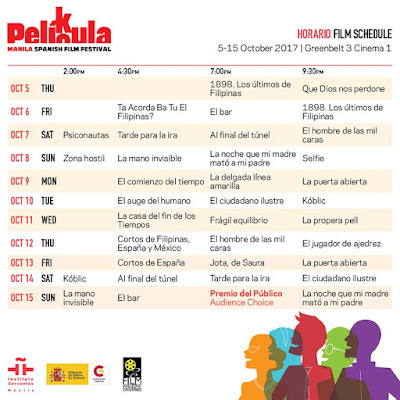 Los Últimos de Filipinas. Do You Remember the Philippines?. The Man with Thousand Faces. The fury of a Patient Man. The Night My Mother Killed My Father. La propera pell / The Next Skin. The House at the End of Time.